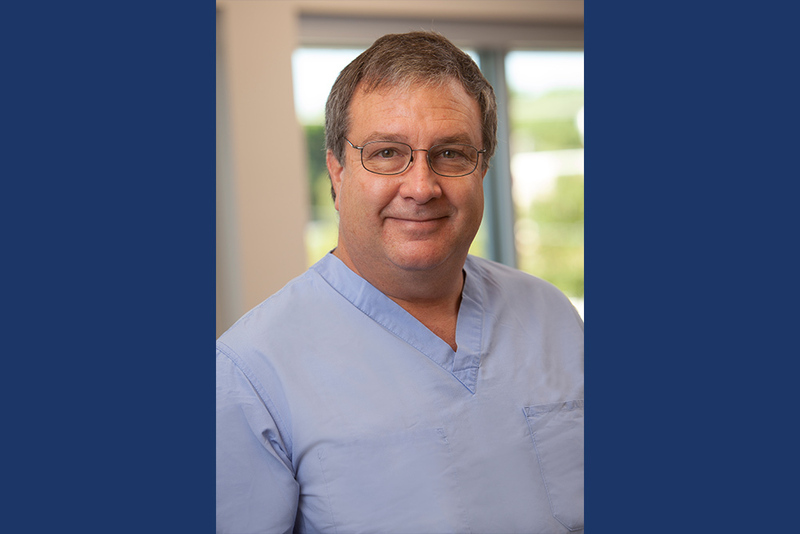 Dr. Richard Hostetter ’81, surgical oncologist for Goshen (Indiana) Physicians, will present a Suter Science Seminar at Eastern Mennonite University Wednesday, April 10, at 4 p.m.
Hostetter will discuss Lessons Learned in 40 Years of Study and Care of the Cancer Patient. The seminar in Science Center Room 104 is free and open to the public. Many challenges and exciting opportunities are available to the scientifically, socially and spiritually inclined persons who work with cancer patients. The possibility of new therapies, better understanding of bodies’ natural cancer-fighting ability, and ever deeper understanding of genetic propensities makes a career in cancer rewarding. The sacred connection with persons fighting cancer carries an incredible gift to those who engage the cancer patient. Hostetter will share takeaway lessons from his time at EMU and in medical school and in academics and community practice. Hostetter is a board-certified general surgeon with a special certificate in surgical oncology. At Goshen Physicians he provides on-demand skin care and endoscopy services and specializes in complex cancers of the head and neck, GI, lung, liver, esophagus, bladder, soft tissues, skin and male and female endocrine glands. He is also a clinical assistant professor of surgery in the department of surgery at Indiana University School of Medicine. Hostetter completed his bachelor’s degree at EMU, and completed his medical degree at the Medical College of Virginia, Richmond. He completed fellowships at M.D. Anderson Cancer Center and Memorial Sloan-Kettering Cancer Center, and has presented nationally and internationally on topics ranging from breast, esophageal, pancreatic and colorectal cancer to spiritual healing and the role of faith in medical practice. This is the final of five spring semester Suter Science Seminars, which are made possible by the sponsorship of the Daniel B. Suter Endowment in Biology and the co-sponsorship of supporting programs.